We are now in the month of April, PISO FARE friends! Are you traveling this summer or in the next several months? Well, check the Air Asia promo fares 2017. You may book these cheap tickets for your summer vacation and beyond! Yes, you can get cheap fares from this seat sale for your tips on April, May, June, July, August and September 2017. Travel period starts April 3 but you must book the tickets in advance. Air Asia promo fares are LIMITED and available on selected dates only. Thus, you need to be flexible in your flying date. 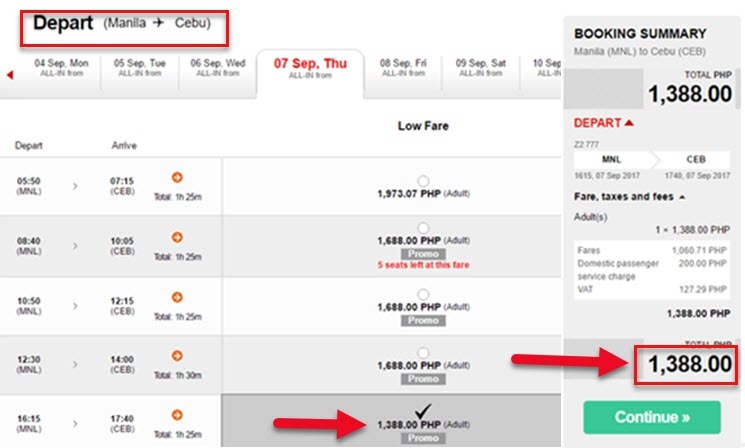 Lowest fare from Manila is the promo flight to Cebu for only P1,388 (ALL- IN Fare with domestic terminal fee included). 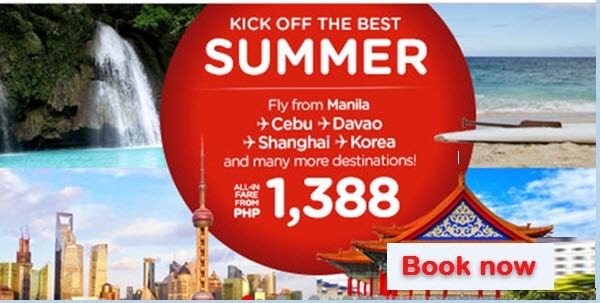 Cheap tickets available for other domestic routes of Air Asia Philippines. Do you have plans to go on a foreign journey? 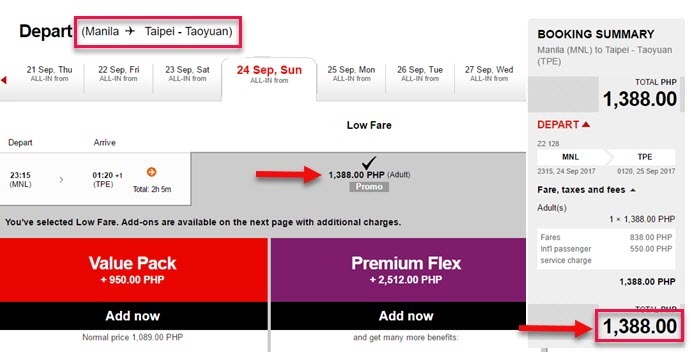 Air Asia Manila to Taipei sale ticket also cost only P1,388 for one-way ALL -IN Fare. Low fares also available for Kota Kinabalu, Macau, Kuala Lumpur and other destinations. Air Asia promo booking is until April 9, 2017. But, book fast as the sale seats are limited! Above Air Asia promo ticket prices can b availed thru online booking at Air Asia website: www.airasia.com. There is no promo code needed for booking. You have no credit card? This is not a problem as you can book online and pay the tickets thru Payment Partners of Air Asia Payment partners for online booking: Cebuana Lhuillier, EC Pay, Robinsons, 7-Eleven, SM Store, M Lhuillier, Bayad center. To guide in planning your trips in deciding on your travel date, here is The List of 2017 Holidays and Long Weekends. Want to be updated on new promo fare and sale tickets of Air Asia, Cebu Pacific Air, Philippine Airlines and other travel updates? LIKE and FOLLOW PISO FARE TICKET on Facebook!! !